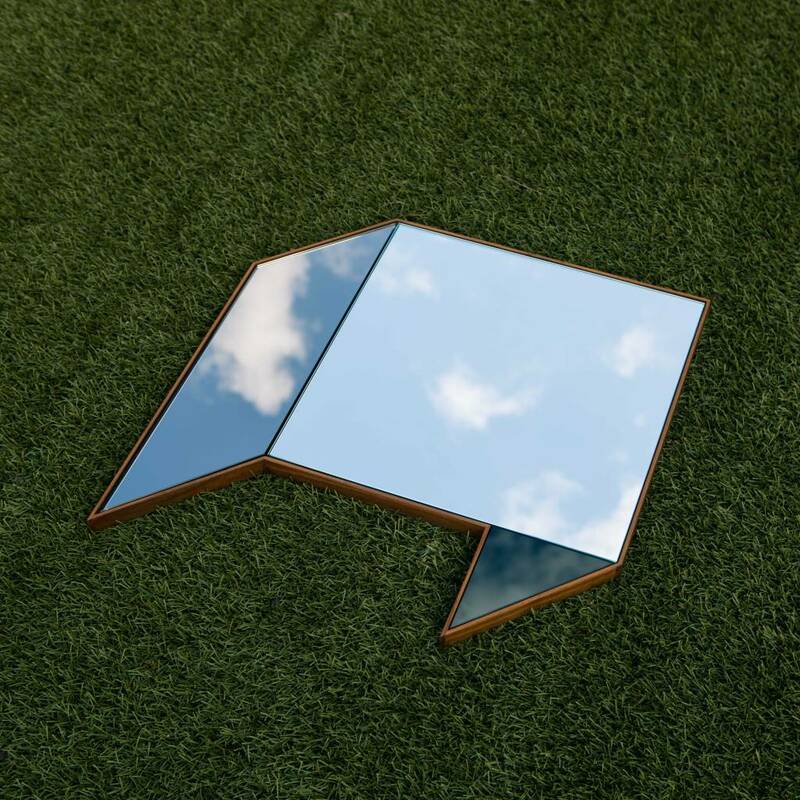 Shape Mirror, Fold from Bower. Bower is a New York City based studio with a multidisciplinary approach to contemporary furniture and product design. Through a free, experimental process, the intent of Bower's work is to bring unique and unexpected objects into people's lives. Bower's Fold Mirror is not just an illusion. The bronze, black, and clear mirror with walnut frame is reminiscent of those 3D boxes you used to draw as a kid. Generally incurs a 4-8 week lead time.